If you are adopted or you have been separated from your child through adoption, there is one thing of which you can be certain: your life will never be commonplace. From the moment that the adoption occurred, your life has been exceptional. Experiencing an adoption separation brings its own challenges, lessons and opportunities for growth and development. This original and dynamic book will help many people to meet those challenges, to learn those lessons and to take advantage of those opportunities. 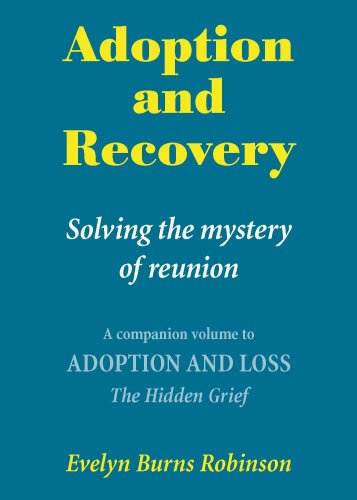 Adoption and Recovery – Solving the mystery of reunion will revolutionise the way we view the experiences of adoption separation and reunion and their significance for those involved. It will be of great value to all of those whose lives have been affected by adoption and also to those who are working with them in a therapeutic setting. With this powerful and insightful book, Evelyn Robinson has created a completely new paradigm within which to understand adoption reunion.